Learn more about Kentucky’s Farm to School Program. It promotes healthy eating habits. It supports farmers and local food systems. Students get to eat local, healthy foods. Transporting local food creates smaller carbon footprints than food that has to travel far. Locally grown food is fresher. Locally grown food supports a healthy environment. Eat locally grown produce as often as you can. Plant a garden, and eat what you grow. Host local food-tasting events at your school. In 2010, the JCPS School and Community Nutrition Services (SCNS) Department started working with Chef Jim Whaley to revise recipes to reduce sodium and added sugar as well as adding more local products to the menus. Chef Jim created healthier versions of student favorites, including sloppy joes, taco soup, barbecue chicken, vegetable soup, and spaghetti meat sauce. Fresh vegetables, including zucchini and peppers, were incorporated into various recipes to give them additional flavor, texture, and value. More items continue to be added to the menus, such as harvest muffins with butternut squash puree, blue ribbon muffins with zucchini, cheesy chicken with butternut squash puree, and several other sauces and soups that contain various other local vegetables. 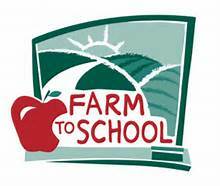 During Farm to School Week, SCNS highlights local products and invites local farmers to our schools. In past years, SCNS has featured a Kentucky Burgoo made with local beef and local vegetables. 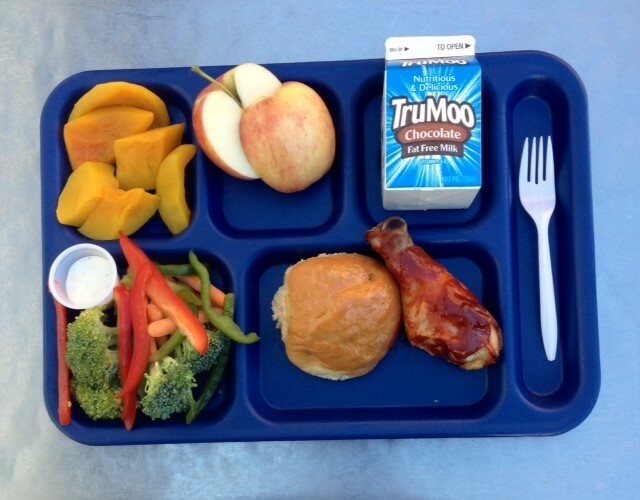 Fresh, local chicken has also been served and has been a huge hit with students and staff! If you want to start a garden at your school, check out the JCPS Policy and Procedure Manual for School Gardens. School gardens provide many opportunities to teach nutrition education as well as science, math, reading, and more. In many urban areas, children are surrounded by concrete, brick, and asphalt. A school garden program can bring nature and agriculture to life. Gardening can encourage physical fitness, proper nutrition, and enthusiasm for learning. It can bring communities together by involving local neighbors, senior citizens, parents, students, and local businesses. A garden is a great tool for helping students understand nature, building a sense of responsibility and belonging, and teaching conservation and preservation of the environment. The JCPS District has about 30 schools with gardens. Students have planted and harvested a variety of fresh produce, including tomatoes, broccoli, squash, peppers, lettuce, radishes, cabbage, and green onions. Schools have used the produce in a variety of ways, including in the classrooms for cooking, taste testing, science, art, and math. Some schools have even even sold their produce to their cafeterias or at farmer's markets. See How to Grow Food for Us!